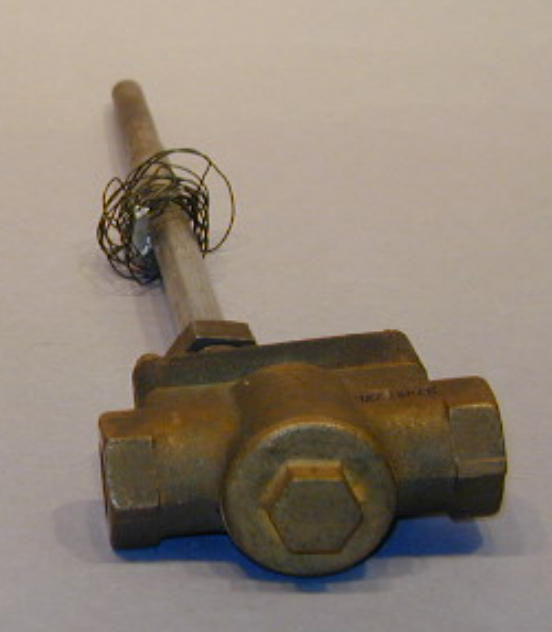 The item is a very early Spencer thermostatic valve. It has a rod-and-tube bimetallic temperature sensing element and a Klixon monometallic disc for snap action control of the valve. The valve is cut-away to show internal construction and was for industrial control use. There is neither a name plate nor tag to indicate the date of the item. However, based on the information on other items submitted at the same time, it can be estimated that it dates from at least the early 1930's. See the Artifact Historical Files for additional details supplied by Lyle McBride. Related material in collection: P00238-9, 241.